After saving up the funds needed to buy his first investment property, Peter purchased a two-bedroom apartment off-the-plan from a developer in Dee Why on Sydney’s northern beaches in 2015. It was a block of 55 apartments and the completion date set for 2017. With prices skyrocketing across all of Sydney through this time, Peter watched the value of his off-plan purchase go up and up over this two-year period. He was stoked. In 2017, instead of Peter taking ownership of his new apartment, the developers worked out a way of rescinding all contracts as each property had risen in value by $250,000 to $300,000. Peter’s contract was cancelled and his deposit returned to him, and could now not afford to buy in at the much higher prices. The developer shut down it’s trading name, started a new one and ironically approached Peter to buy back into their “new development” (the same one he originally bought in) at the new and inflated prices. He told them in no uncertain terms where to go. Buying an apartment off-the-plan can be a great way to buy real estate, if you manage all of the risks. You typically put down a 10% deposit and two to three years later your apartment along with the rest of the building is completed and everyone settles and moves in. But with much more speculation from investors, many more complexes being built, and with the ever-changing lending landscape, it has never been riskier to buy off-the-plan. A lot of buyers will disagree that these two words should ever be put together in a sentence: “reputable developer”. But there are fantastic property developers out there who consistently deliver great projects to their buyers, and build a top brand and reputation over a number of years. There are the developers that you want to be buying from. The high profits of property developing attract all types. Do your research on the developer that you plan to be buying from. Look into how many projects they have completed, go and see some of their other projects, do a business search and see how many years they have been in operation. Speak to buyers from their other projects and find out about their experiences. Because a developer puts on an expensive and flashy sales suite does not mean they are reputable and trustworthy. If all of the glossy brochures look great, but you end up buying into a lemon of a development, you may not be in a position to buy again for a number of years. The builder being used by the develop also needs to be able to deliver a great product. Once again, make sure the builder is experienced and has built similar projects in the past. You want the builder to still be in business at least a year from the completion of the project. This is where any of the defects within your apartment will be fixed by the builder (and there are always defects). If the builder has gone bust then they won’t be coming back to fix the defects throughout the whole complex. This is a horrible start for any building. And if the builder has gone under then it is usually safe to assume that the quality of their work would be questionable also. Big builders who have completed a number of similar sized projects will have a higher chance of still being in business years after the completion of your apartment complex. This is becoming an increasingly important factor. Banks are becoming more and more stringent on where they lend and who they lend to. In the last few years, banks have created suburb or postcode lists where they will limit the amount (or percentage) that they lend in. They do this as they see certain suburbs to be riskier than others, and they don’t want to be overexposed to this risk. Banks are now limiting lending on particular apartment projects. This is great for the banks, but horrible as a buyer if you have purchased in one of these buildings. If a lot of buyers are not able to get funding to buy into your complex, with less demand from buyers will lead to less price growth (or in a lot of cases, prices will drop as we have been seeing). Go where the banks go. Buy into low risk suburbs and low risk projects, which will mitigate your risk and should lead to better price growth over time. Plus if you ever need to sell your apartment you will have a lot less trouble selling to another buyer as they will be able to get funding on the purchase. These are another two words that shouldn’t be put together in a sentence, but this is happening more and more to buyers at the moment. Negative equity is when the price that you paid for your apartment is more than it is actually worth (as per the bank’s valuation). For example you buy a unit off-plan in 2017 for $650,000, and when you go to settle in 2019 the bank valuation says it is worth $600,000. This happens. And in a lot of cases the buyers then need to find another $50,000 very quickly to pay the difference, otherwise they could be forfeiting their initial deposit. Why does this happen? Because either the properties were sold at much higher prices than they were actually worth (which happens a lot if you buy through investment consultants or financial advisors), or the values in that market drop due to an over-supply of apartments in that area (we are also seeing a lot of this). How do you avoid this? Don’t buy into one of the large complexes for a start. We would regard 30 units or more as a “large complex”, but as investors we only buy into small buildings when we buy apartments for our investors. The larger the complex, the riskier the purchase in my book. The development takes longer to build, exposing you to more external risks over time. Plus some of the larger buildings are only sold to investors, which will be more prone to price drops. The expected rental figures provided on most off-plan purchases are heavily inflated. Look into what new apartments are renting for in the same area to do your own numbers. Don’t take the information from the selling agent as definite, because they usually provide the best-case scenario for buyers. I was recently told about a new apartment building completed in Liverpool in Sydney, where one Chinese investor had purchased six apartments off-plan. The expected rents on the two bedroom apartments was $680 to $720 per week. This one investor put all six of his apartments onto the rental market for $580, setting a low and new benchmark for rental figures in that complex. All other owners had to follow suit. Buying into bigger complexes exposes you to these risks. The sales process for a lot of off-the-plan projects is very sleek and sharp. Marketers whip buyers into a frenzy, and you need to pick your apartment quickly and sign up even faster. This is not the way to buy real estate. Prior to the launch date you need to get a hold of the contract and have it reviewed by a property lawyer. Not any solicitor, but one that specialises in property. They will explain what you are getting yourself into, and your legal obligations as a buyer. At least you can make an informed decision on whether this is right for you. Also make a shortlist of your preferred apartments. When you get a chance to buy you will be ready to make a calculated decision on which one you want. If you can get in before the launch day, even better. There are two parts to this. Firstly, when you are buying off-the-plan you need to realise that you are being locked into a contract for two years on average. Property markets change significantly in a two-year period. Our property markets work in cycles with periods of growth, periods of stagnation, and sometimes periods of prices drops. Understanding that everything is part of a cycle is the first step, then realising where your market is at in it’s cycle will highlight how risky your purchase could be. Sydney has just seen an unprecedented period of 4 years of growth. We have moved into a period of stagnation, where growth will be minimal and some areas should see prices reduce. Buying an apartment off-the-plan in 2018 when it will be completed in 2021 is very risky, as no one knows where the market will be at that time. What we do know is that all of the growth in this current cycle has occurred, so you can’t expect to see much price growth in the coming three to five years. If we go back to 2013, where we had come from eight years of minimal growth with prices starting to rise at the end of 2012. By buying off-the-plan in 2013 with a completion date of 2016, you should have a lot more confidence that your purchase would be worth a lot more at completion simply due to timing the market (mind you this is easy to say with hindsight). And this was the case for a lot of people. Learn how the markets work and avoid buying off-the-plan at the end of a growth phase. Similarly when you buy into a complex, the sooner the better. The best apartments in any building always sell first, and you want to be one of the buyers doing your buying then. If you are being offered one of the last apartments in the complex, that is because a lot of people have already said “no” to it. This will be due to a range of factors (the unit faces south, has a poor design, oddly shaped parking space or no parking at all, added road noise). Either way you don’t want to be stuck buying the worst apartment in the building as it will see less capital growth and be harder to rent out. Build your relationship with the selling agent and push to get first choice when the project is launched. Or even better, buy before it launches. Here we are 16 years later and the off-plan landscape is very different. 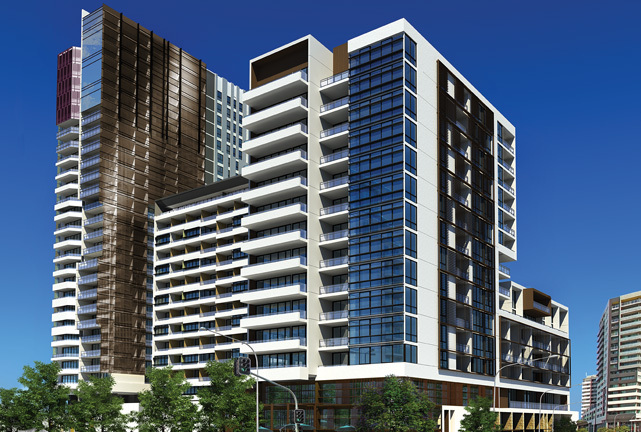 Banks have limited lending, international investment has driven most of the markets in our capital cities, and some buildings are sold totally to investors (there is a 650 unit development in Brisbane’s Fortitude Valley that was sold 100% to investors in 2014, and that is one of many). Buying off-the-plan can be a great strategy, but only if you reduce all of the internal and external risks. Realise that it is a risky thing to do in the current market, as you are locking yourself into a two or three year purchase with no way of knowing how the market will be at completion. Putting down a deposit now and paying for it in three years may seem like a good idea. But if in that time the value drops and when you have to pay for the property you have lost $50,000 to $70,000 in value, you are actually taking yourself backwards. And quickly. Do your research, and then do some more. One mistake in buying off-plan can cost you a lot of time and money, our two most precious personal commodities.